The work consisted of converting an existing central London night club into a two bedroom house. The existing property had a 150m2 basement which was completely refurbished including the installation of a Newton waterproof membrane system. Within the basement a kitchen, utility room, bar, sauna, wine store, study and two lounge areas were constructed. The existing property was also extended upwards to form two bedrooms and two bathrooms. 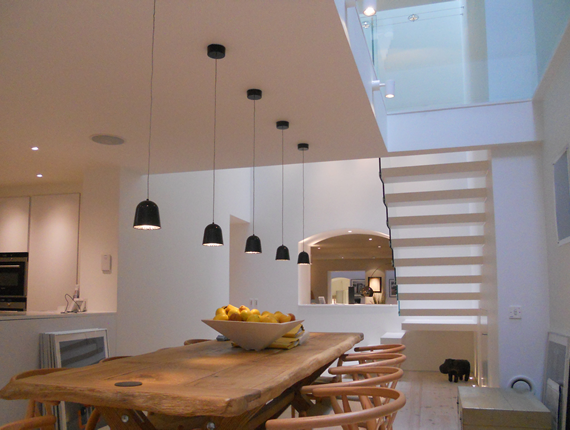 The property was fitted out to a very high standard including bespoke joinery items, basement fire place, Lutron lighting system, polished concrete and a ‘floating’ staircase.